A mere claim that someone is “Native” is not enough for a court to consider that an Aboriginal child will be at a “disadvantage” when weighing legislative factors in child protection matters. There needs to be more evidence of what is important to the family, the child, and the Aboriginal community the child is said to be a member of. The Catholic Children’s Aid Society of Hamilton (the Society) sought an order for Crown wardship with no access regarding the child EDV, born […], 2015, who was apprehended at birth. The mother, GH, and the father, TV, were known to the Society since 2012 regarding protection issues with the couple’s older children. After the Society commenced a protection application regarding EDV on May 5, 2015, it decided to pursue a summary judgment motion in relation to that application in February 2016. It is then that the Respondent father, TV, argued that EDV is a Métis child, and that as such, he should be treated in the same manner as children who fall within the definitions of “Indian”, “Native person” and “Native child” under Ontario’s former Child and Family Services Act (CFSA) [the CFSA has since been replaced by the Child, Youth and Family Services Act (CYFSA) as of April 30, 2018]. All parties conceded that Métis children did not fall within the scope of those definitions as they stood at the time of the hearing, and that EDV therefore did not have “Indian” or “Native” status within the meaning of the CFSA. TV alleged that the definitions of Indigenous identity in the CFSA violated s 15(1) of the Charter of Rights and Freedoms on the basis that they did not extend to Métis children. He sought an order pursuant to section 52(1) of the Constitution Act, 1982 declaring these invalid and a remedy pursuant to section 24(1) of the Charter directing that EDV be treated as if he were an “Indian”, “Native person” or “Native child” for the purposes of these child protection proceedings. The Society did not take a formal position on the CFSA’s identity definitions, and it stated that it had in all material respects treated EDV as if he were “Indian” or “Native”. As well, the CFSA identified the cultural background and ethnicity of all children as an important factor in child protection proceedings, which was apparent from numerous provisions in the Act. 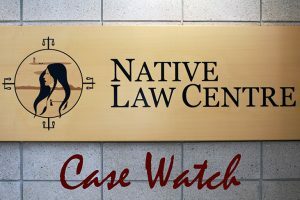 After considering many factors, including Gladue principles, the Court concluded it should not deal with abstract questions, especially in the context of a constitutional question. Absent a more complete record, the s 15 claim could not succeed. This may not have been the result if there were a fuller evidentiary record, but the issue in this case was too theoretical. When considering Gladue principles in sentencing matters, they do not on their own justify a different sentence for Aboriginal offenders, but provide the necessary context for understanding and evaluating the case-specific information presented by counsel. It is difficult to apply the context referred to in R v Gladue and R v Ipeelee to the disposition stage of a child protection hearing. The child protection court is directed to order in the best interests of a child. Taking judicial notice of the historical reasons that may have contributed to an Aboriginal parent’s current circumstances is less likely to be helpful to the child protection judge faced with the decision of whether to return a young child to the parent than it may be to a sentencing judge grappling with whether to order a custodial sentence and, if so, its duration. As for the issue of EDV’s “Native” status, it was noted that the Métis Ontario coordinator of their Healthy Babies Healthy Children Program contacted the Catholic Children’s Aid Society in 2012. The representative told them that TV had self-reported that he was a member of the Métis Eastern Woodlands of Nova Scotia, and as a result of that self-report, she was working with this family. However, no one pursued the issue until 2016 when the matter came up for summary judgment before Justice Chappel, where the parties consented to a finding that the child was Métis. There were extensive efforts to serve and seek out the involvement of the Eastern Woodlands Métis of Nova Scotia. However, the response was that they were not going to participate, they did not have any placement options, and that they were supporting the plan of the Catholic Children’s Aid Society to have the child EDV adopted. Justice Chappel ordered that the child EDV be considered “Native” for the purposes of this and any other child protection application. The Society made every effort to see if other Métis communities would participate in the litigation or provide the family with a placement option. No one came forward. TV never followed up on any suggestions given for obtaining assistance for his many issues. He did not describe his family background at all, or give any testimony about his Aboriginal background or any connections that he had or has in a Métis community other than his relatively brief contact with the Métis Ontario Healthy Babies Healthy Children Program. 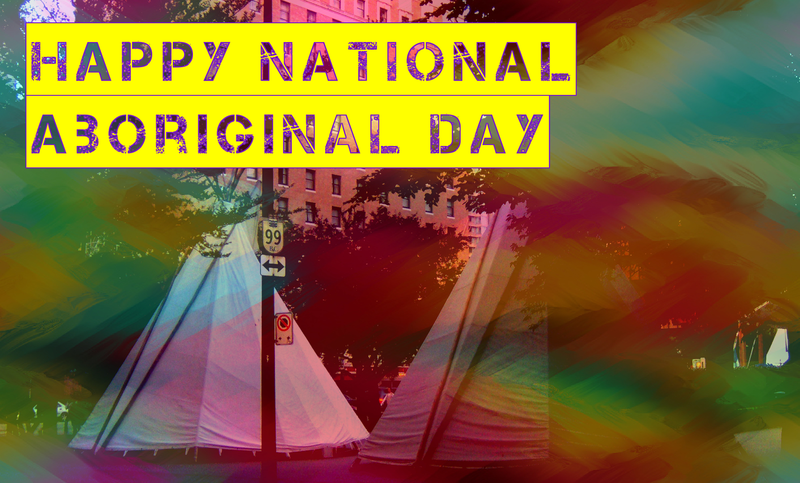 The Court stated that it had compassion toward and recognition of the importance of “Native” heritage and families but this special status does not equate to a blanket exemption from legislation carefully crafted to protect vulnerable and often damaged children. The paramount purpose of the CFSA is to promote the best interests, protection, and well-being of children. Where a person is directed in the Act to make an order or determination in the best interest of a child and the child is an “Indian” or “Native person”, the person shall take into consideration the importance, in recognition of the uniqueness of “Indian” and “Native” culture, heritage and traditions, presevering the child’s cultural identity. 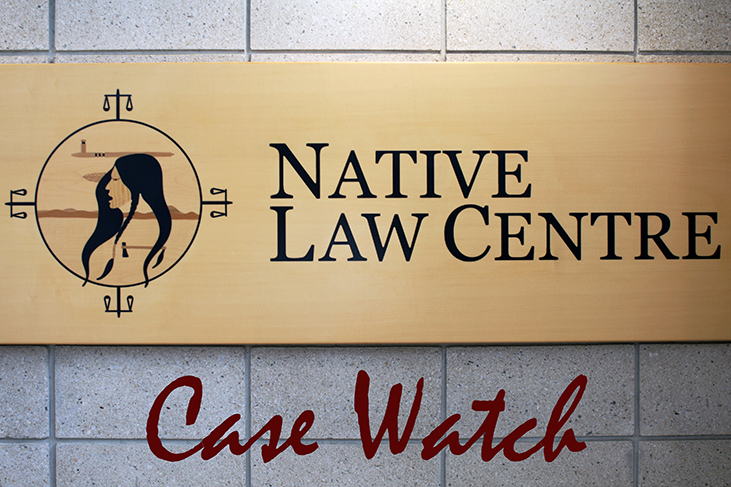 In SB and BRM v Children’s Aid Society of Algoma and Mississauga First Nation, the Court addressed an appeal from an order for Crown wardship without access to the parents. The position of the Band was that access should continue so as to maintain the child’s connection to her Aboriginal community and to avoid the long-term consequences of cultural dislocation and estrangement from her roots, including from her siblings who resided on the reserve. However, there must be evidence of the nature of the involvement of the child’s family in the “Native” community which is lacking in this case. The mere claim that someone is “Native” does not allow the Court to consider the relevant factors within the legislative scheme, without some evidence of what is important to the family, the child, and the Aboriginal community the child is said to be a member of. The Court decided that it was in the best interest of EDV to be made a Crown ward with no access, the Society was directed to make every effort to ensure that any foster parent and/or adoptive placement was willing to educate the child on his Aboriginal heritage and culture, to expose the child to this culture on an age-appropriate basis and provide the child with knowledge of any governmental benefits available to the child as a result of his “Native” status.